AVSF is proud to be celebrating 35 years of serving smallholders in the South! At its last Annual General Meeting, AVSF's members elected a new Board of Directors. There are now 24 volunteer directors working closely with the management board of the association's 300 employees to coordinate and carry out AVSF's mission. This year's meeting was marked by a special presentation: Marc Chapon (Head of AVSF's activities in Mali) and Sophoan Min (Head of AVSF's activities in Cambodia) presented the latest innovative projects and activities that are currently being carried out in Mali and Cambodia. This year's Annual General Meeting was also an opportunity to take stock of the past year by reviewing the association's annual report and financial report. 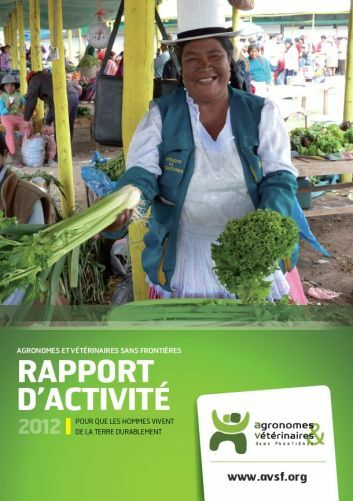 In the reports, you will find all of the highlights from the past year as well as the major projects that the AVSF is engaged in to help 700,000 smallholders live off their land in decent conditions.